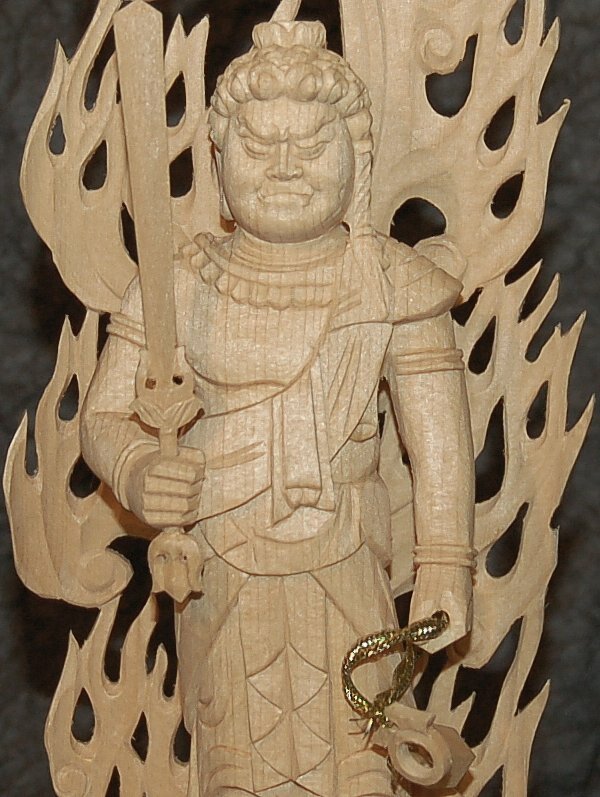 Four pieces: (1) Halo; (2) Fudo statue; (3) Pedestal; and (4) Sword. 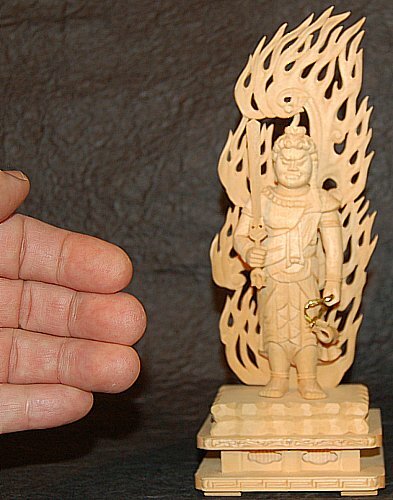 Wields devil-subduing sword in right hand (also symbolizes wisdom cutting through ignorance); holds lasso in left to bind up the wicked (or keep people from straying); stands on a rock because Fudo's faith is "immovable." Flaming halo symbolizes the burning away of desires. See Fudo background notes for more details on iconography.